View Poll Results: POTP VOY Starscream - worth buying? I find the lower legs and his forearms extremely chunky for a Starscream toy. Combined with his quite small head makes him look like he has been on cyberr-steroids or something. Do like his lower chest though. Jet mode is kinda cool looking, except like CW Cyclonus he carries a lot of bulk under the back half of the jet and like CW Air Raid etc his arms are just stuck under the wings. Cockpit is a bit small. Transformation is super easy - no instructions needed. Comes with a lot of stickers, especially on the jet wings. While they look great and add a lot of detail (like Autobots ticked off, 'ghost attack' etc) they don't give me the impression that they will stay on forever, especially given time and heat. Overall not a bad Starscream, but certainly not a must-have figure. This has been my most disappointing TF toy for quite some time. Too many compromises in order to get 3 modes out of the mould (jet, robot, combined torso) but none of them are executed well. Proportions way off to the point of ridiculous in robot mode. I absolutely cannot get the Starscream head to fold away in torso mode. Jet mode doesn’t peg together properly. The poor quality stickers are applied badly (skew and peeling out of the box). This honestly feels like a first draft where there should have been 3-4 more passes to get it close to adequate. And then released without decent QC. Can’t see the benefit of this. Avoid. First up I like the jet mode from an overhead perspective but as the angle starts to lower it becomes apparent that there is too much bulk underneath it. As for the robot mode, this is better but first I'd like to point out how in anime/manga it's standard for parts of the anatomy to be exaggerated and oversized (e.g. big googly eyes) therefore for me personally the bulky arms and legs on the figure actually work for me. Thirdly, I love the historical significance of Starscream being a combiner for the first time (unless there's a Starscream out there I don't know of with the exception of fan made ones). This puts the POTP version alongside the Alternity version (the latter being the first time Starscream has ever transformed into a car). P.S. I hate the poor application of the stickers. It's only second to my dog's breakfast application of stickers on G1 figures back when I was a kid. 2016's Unite Warriors Starscream was the first combining Starscream toy AFAIK. Well, it looks like the internet only refers me to POTP Starscream whenever I type in "Starscream combiner". At least he's the first Starscream to be a central combiner. I'm a bit on the fence with this Starscream. I like Starscream, and he's a character I'd be happy having multiple versions of. I also don't have a 'CHUG' version of Starscream (unless you count the Armada and FoC Starscreams from 2013-14. I was excited when they announced a Voyager Starscream for PotP, but when I saw pictures of it, it looked kinda... gimmicky, and his proportions were weird. 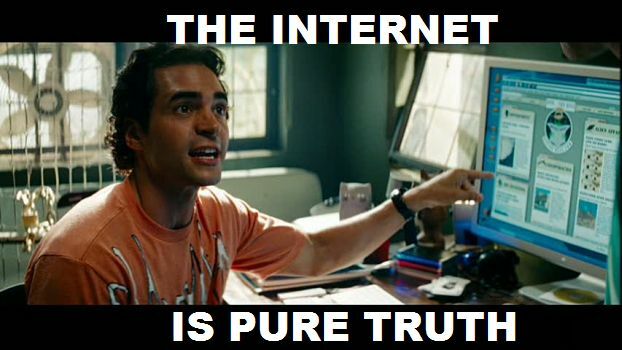 I've recently watched reviews for it and they didn't seem all that positive. I saw this guy today for $39 (which is an awesome price for a Voyager), but I still didn't bite.. It seems I like Starscream; but not enough to buy a B-minus figure of him at a cheap price. Or maybe I'm just satisfied enough to have MP-11 (the ultimate G1 Starscream figure)? 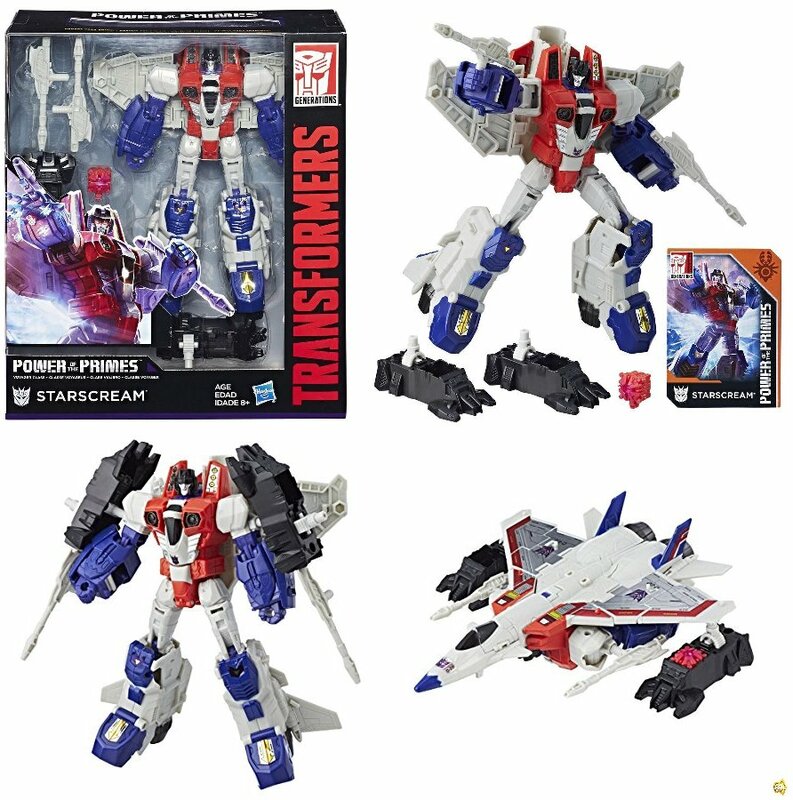 Dunno.. Maybe I need to handle someone's copy of the figure before I'm convinced enough to buy one..
Well, it looks like the internet only refers me to POTP Starscream whenever I type in "Starscream combiner". FatalityPitt: why not go with the Deluxe Classics Starscream? That's a pretty awesome mould! If I can find one for under $50, I'd certainly grab it. I got back into collecting Transformers in 2010, so I missed out on Classics/Universe/Henkei, and sellers on eBay are selling the Starscreams from those lines for more than what I'd be willing to pay for a Deluxe (even if it's from a discontinued line). I did buy a few knock-offs, and I regretted it every time (the quality was awful). 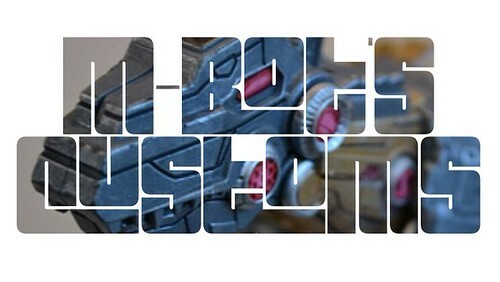 So my approach now is to wait for a newer better Starscream to come out. Wish they'd re-issue the 2008 Universe Starscream though. That one looks perfect!